How to play SWOS 96/97 & 16/17 online? You can play both versions of the game, Amiga (1.) & PC (2.)! Join the match chat: (CLICK HERE, or on the button below...) This will link you to our official DISCORD game channel. 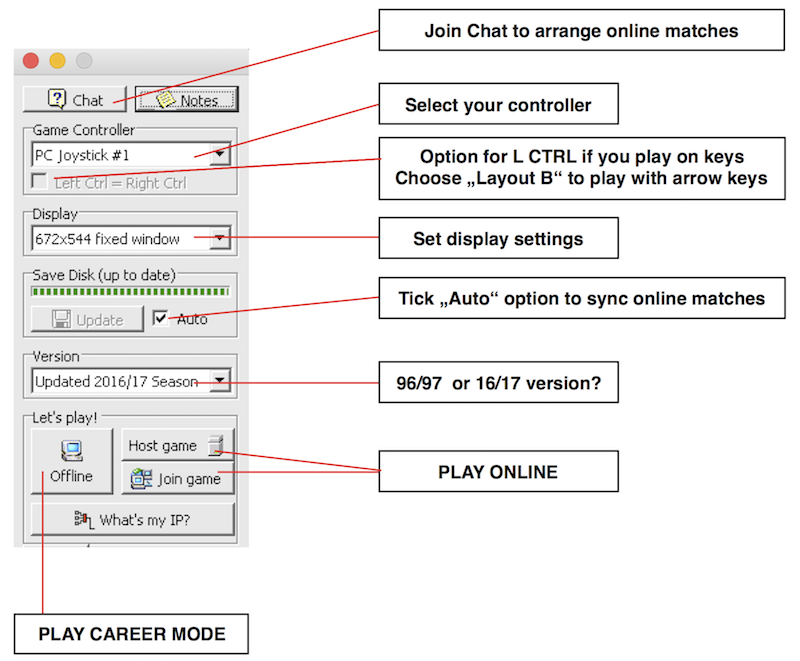 You have to arrange online games of SWOS in this chatroom. Remember, it's not anonymous click & join & play. Do not leave after a few minutes, give people some time. This package contains Amiga SWOS 96/97 & 16/17. Extract & install it. a) For server play (Europe) both players have to launch game with "JOIN OR HOST A SERVER MATCH.bat" file! b) To play p2p, one player acts as host ("START GAME.bat"), the other player joins him ("JOIN P2P MATCH.bat"). In game, one creates a lobby, the other one joins!